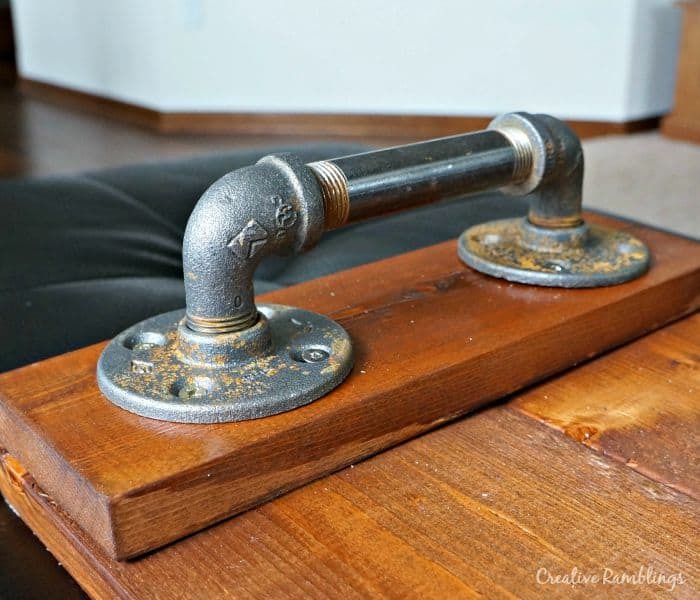 I love the industrial look, pieces created with weathered wood and iron pipe. I have seen tables, shelves and entertainment centers made of plumbing pipe and wood and just love how it looks and how functional it is. I wanted to create a piece with an industrial look and chose to start small. 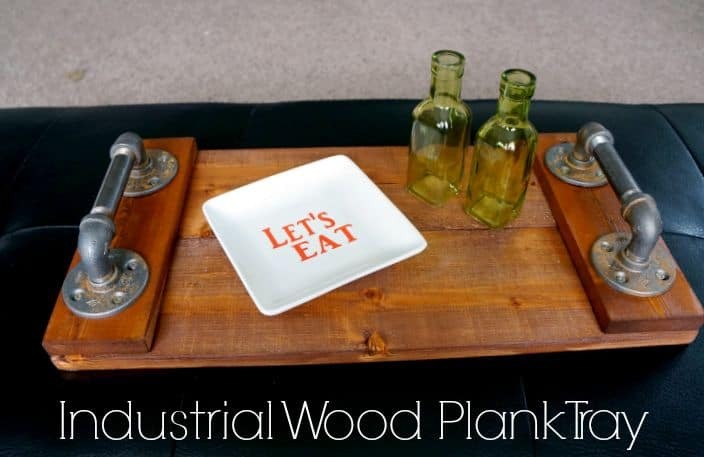 I made an industrial wood plank tray out of a few pieces of scrap wood and some pipe. It was pretty straight forward and now I want to create more pieces! 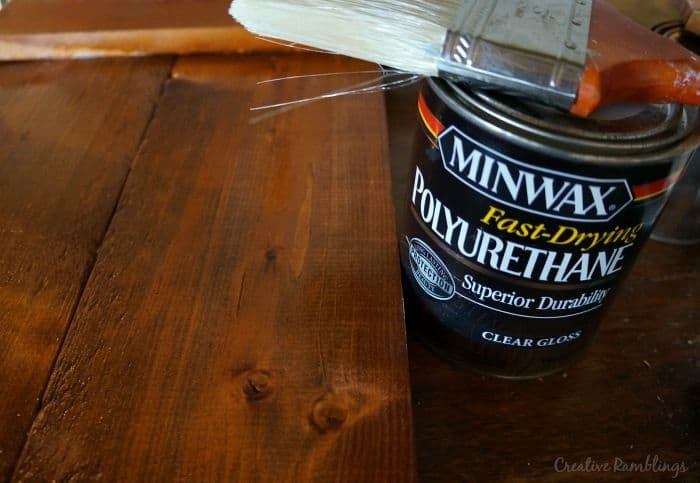 I stared by cutting and sanding my boards then staining them with a saddle colors that matches the woodwork in most of my home. Once all the pieces were stained and dry I glued and clamped them together. I let the glue set then added 2 screws to each short board on top for extra security. These screws are hidden beneath the handles. Before adding the handles I sealed the wood with polyurethane. I picked up the pipe for the handles at Home Depot and just played around with what was there until I found a shape I liked. I chose a black steel finish, the pieces were very greasy and shiny when I got them home. 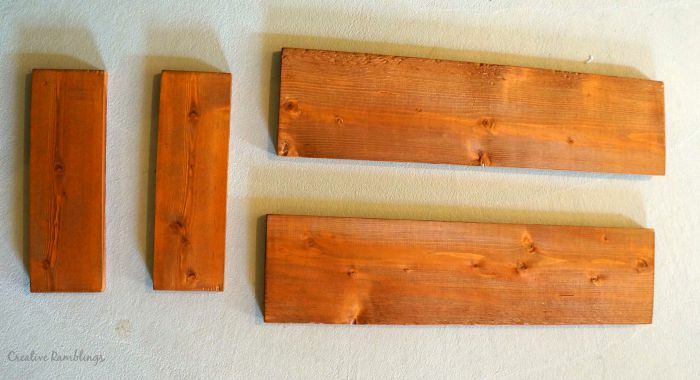 I washed them in mineral spirits then soap and water which removed the grease and gave them a more rustic finish. To assemble the handles I made sure to screw each piece together an equal amount of times, that way each handle ended up being the same length and height. I am using this tray on my ottoman in my living room. It’s big enough for a few drinks and a snack and will work great for parties. 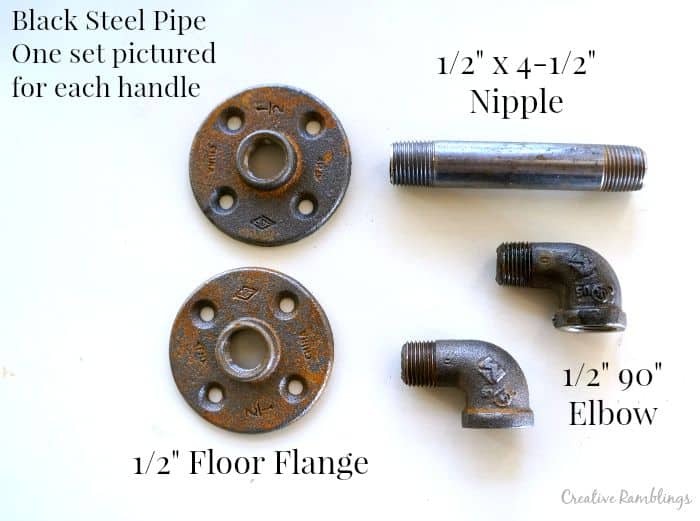 Have you made anything with pipe? Tell me about your project. This looks great! 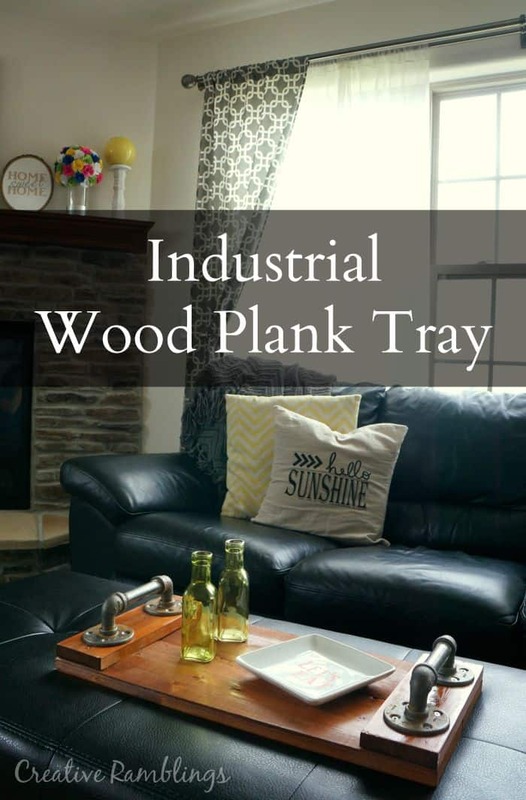 What a simple way to make a tray and I am loving the industrial touch to it! Oooh I love it Sarah! Thanks for sharing your idea with us. It looks great. I like this wooden DIY project very much. I love the handle by plastic. I’ll make the tray lighter. Such a cool technique and very pretty!